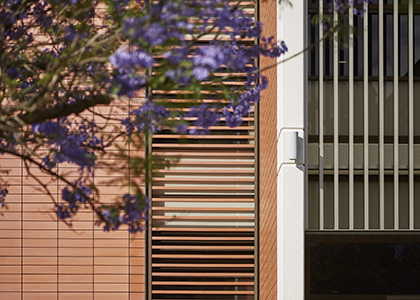 Excelsior House was developed as a venue to prepare senior school students for university and the world beyond Perth College. 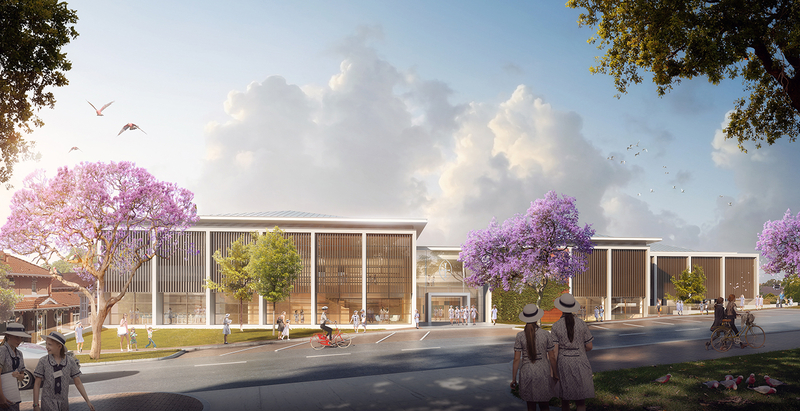 It provides students with a learning environment where they can develop their independence and responsibility and equip them for the future. 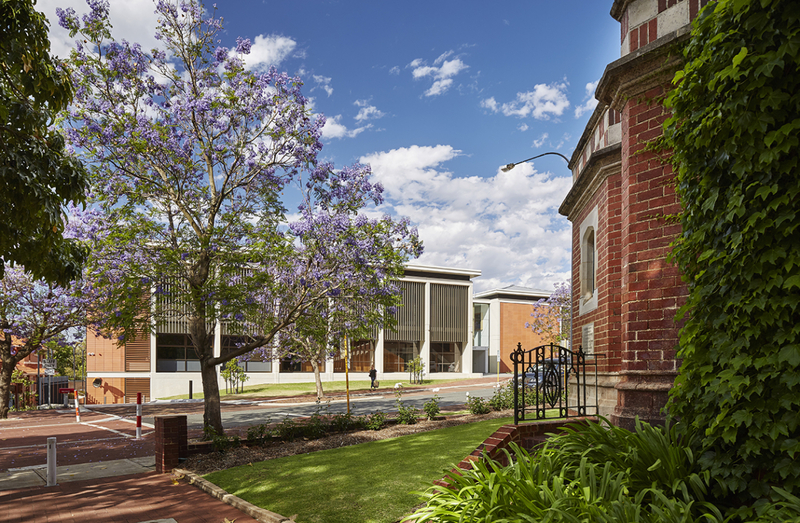 The new facility is located on Perth College’s iconic Mount Lawley campus, Western Australia, facing the school’s historic and heritage buildings. 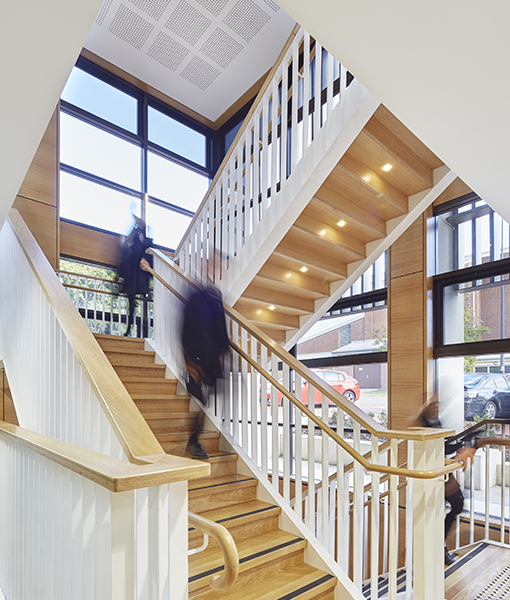 The design of Excelsior House recognises the form, scale, materials and textures of existing buildings, and enhances the strong character and identity of the School Campus. 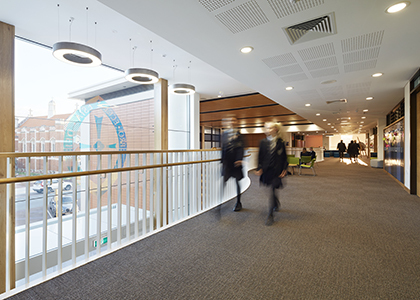 The three-level facility comprises an under-croft car park, twelve classrooms, examination centre, occupied stair, break-out areas, tutorial rooms, staff offices, dining hall with associated commercial kitchen and an alfresco dining area. 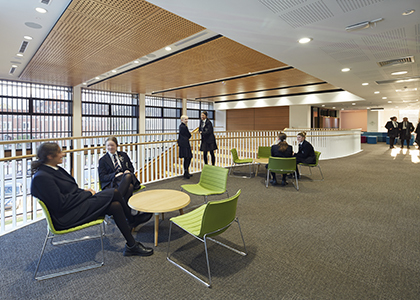 Excelsior House was designed to enable students to enjoy a wide range of informal learning spaces outside of classrooms. 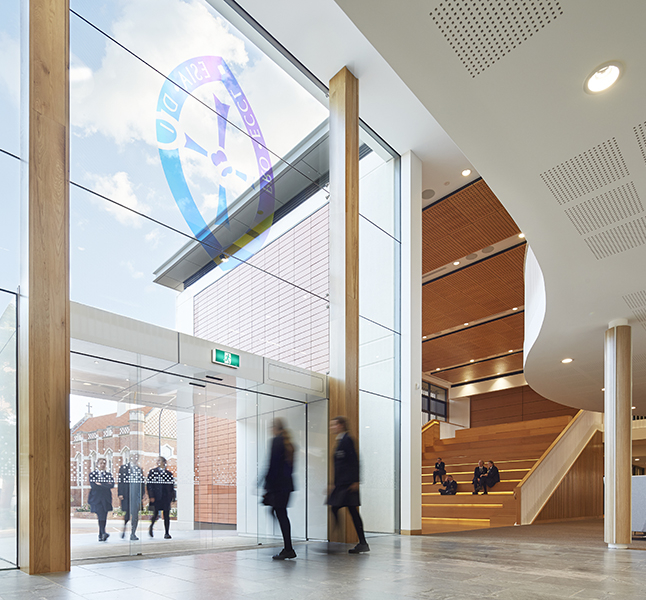 A high level of transparency and flexibility throughout has been achieved by minimising internal columns and using operable glazed acoustic walls to all classrooms. 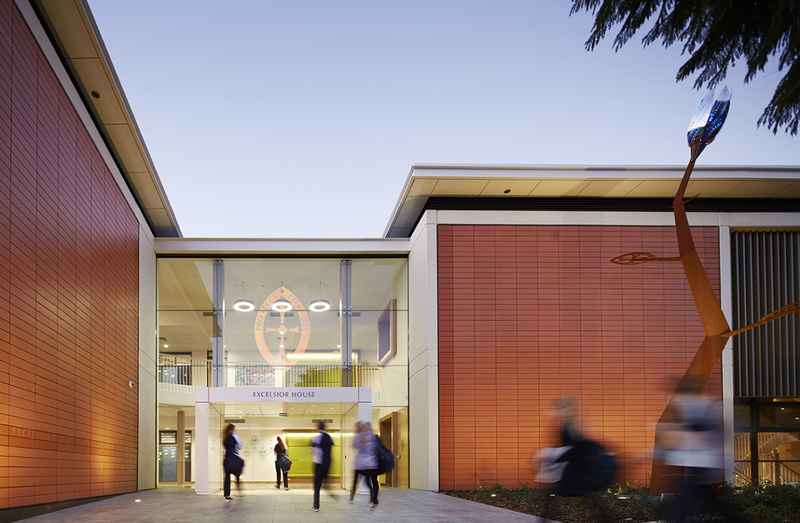 External materials for the building include fair-face white concrete, terracotta cladding, zinc roofing, bronze anodised window frames and bronze anodised vertical sun-breaks. 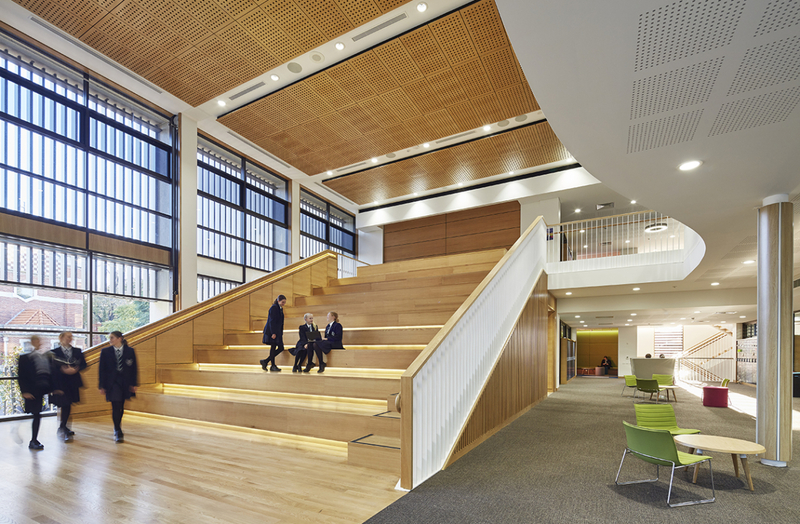 Internally white painted plasterboard walls and ceilings are complemented by American White Oak timber flooring and wall panelling, grey granite flooring to specific areas and a range of highlight colours for wall fabrics and loose furniture elements. 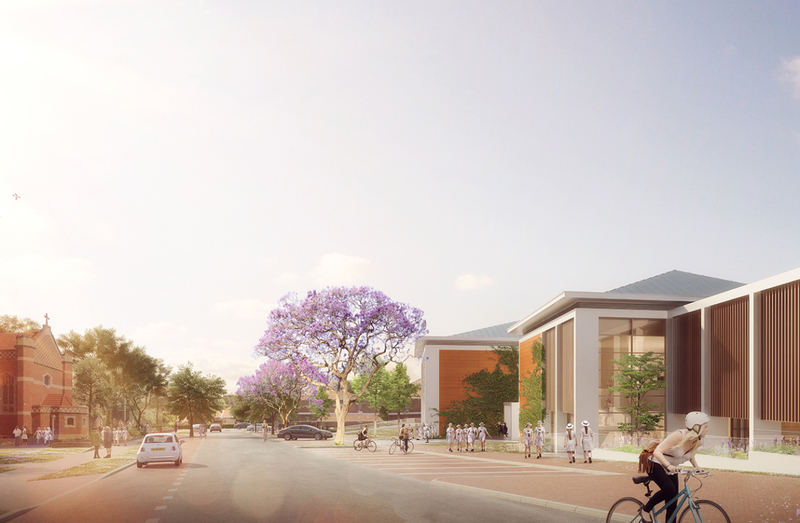 Construction of Excelsior House commenced on site in September 2016 and the building was officially opened in March 2018.